Medical India Tourism offers special Orthopedics packages that include Diagnosis of the injury or the problem, Treatment, Rehabilitation and Prevention at absolutely affordable costs. Continuing its traditional prowess in medicine, India has adopted the most Advanced Medical Technology (AMT) for a number of services and products. Cosmetic surgery packages by Medxplorer, to get quality services from the best plastic and cosmetic surgeons. In India, dental treatment packages include meeting with expert & experienced doctors for medical consultancy, dental treatments through advance equipments, medication and services of professional staff at affordable prices. Eye care and treatment in India is extremely popular all around the globe for its world -class international standards and the use of the most advanced procedures in minimal incision surgeries. It is not an easy thing to understand the plight of childless, married couples but we at Medical India Tourism try to do so by offering the best of Infertility Treatment Packages. India is known all around the world for offering excellent ENT care and treatments at absolutely affordable rates, in comparison to the western country. Medical India Tourism offers some very affordable Urology treatment packages. Patients can avail benefits like the services of the finest urologists, diagnosis-treatment-to after-surgery care advice. The agony of childless couples cannot be described in words but Surrogacy, one of many assisted reproduction methods has come up as a boon for such couples. Though Surrogacy is a complex arrangement but Medical India Tourism makes this process an easy one through its beneficial Surrogacy Packages. Max Healthcare is counted among the leading hospitals in India known for offering world-class healthcare services using the latest and the best technologies. 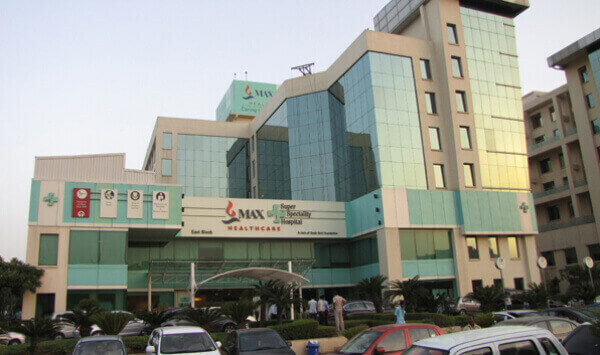 Having found its place in the list of best hospitals in India, Max Healthcare is known for its unparalleled services. Max Healthcare offers services across major medical disciplines including Oncology, Cardiology, Nephrology, Neurosciences, Orthopaedics, Bariatric Surgery, Urology and Minimal Access pan India. Each multi-speciality hospital offers 24*7 emergency services, has a blood bank, pharmacy, ATM, and other important amenities for proper patient care. The exceptional success rate across the 14 hospitals in India makes it India's leading providers of world-class healthcare services. Fortis Hospital, Noida is a premier state-of-the-art facility with over 200 beds including 7 operation theatres. The hospital is positioned as a Centre of Excellence in oncology, orthopaedics, neuroscience, liver transplant, kidney transplant, and with a key focus on cardiac sciences and emergency trauma care services. The hospital is the only corporate facility in Uttar Pradesh that covers an entire array of specialities from diagnostics to organ transplant (kidney & liver). The second mega hub hospital, in the Fortis Healthcare group, it caters to the special needs of patients and their families. The hospital has been designed and developed to deliver patient care with maximum ease, warmth and effectiveness. The Jaypee Hospital was conceptualized by a revered Founder Chairman, Shri Jai Prakash Gaur with the vision of promoting world-class healthcare amongst the masses by providing quality and affordable medical care with commitment. Jaypee Hospital at Noida is the flagship hospital of the Jaypee Group, which heralds the group’s noble intention to enter the healthcare space. This hospital has been planned and designed as a 1200 bedded tertiary care multi-specialty facility and has commissioned 525 beds in the first phase. The Jaypee Hospital is constructed across a sprawling twenty-five-acre campus in Sector 128, Noida which is easily accessible from Delhi, Noida and the Yamuna Expressway. Apollo Hospitals Enterprise Limited is an Indian hospital chain based in Chennai, India. It was founded by Dr Prathap C. Reddy in 1983. 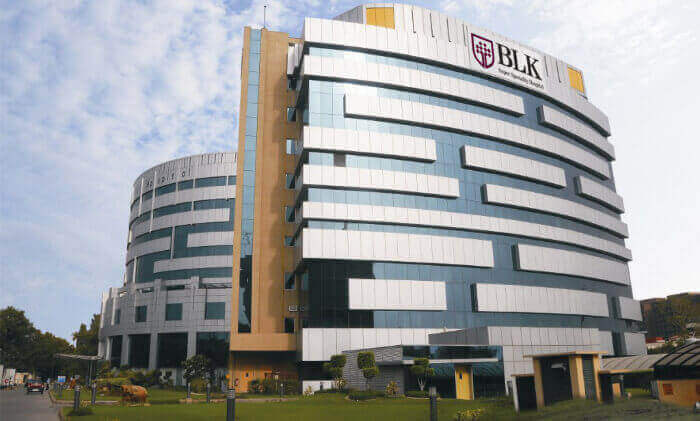 Several of the group's hospitals have been among the first in India to receive international healthcare accreditation by America-based Joint Commission International. Apollo Pharmacy was started in 1987 to provide consumers easy access to genuine life-saving and OTC drugs. Accredited with - International Quality Certification, Apollo Pharmacy offers medicines round-the-clock, through their 24-hour Pharmacies as well as online. India’s large and diverse population warrants an efficient health care infrastructure that should be accessible to all strata’s of society. Good quality health care should not be a privilege of the elite only. Metro Group of Hospitals was setup in 1997 by Padma Vibhushan and Dr. B C Roy National Awardee Dr. Purshotam Lal (Chairman), with the vision and endeavors to bring the best possible health care to the masses of India. In order to achieve this, Metro Group of Hospitals has evolved as a committed group which provides advanced medical care at much affordable prices. Their focus has always been on the patients of the lower and middle sections of society, patients who are rejected by the large corporate hospitals, and who cannot afford expensive medical care but definitely deserve empathy. Kailash Hospital made its humble beginning about three decades back. Over the years, it has transformed itself into a hospital at par with international standard. We are committed to achieve patient satisfaction by providing our services, at reasonable cost, on humanitarian and compassionate grounds. Our group hospitals have state-of-the-art infrastructure, large spectrum of clinical services, highly experienced and qualified professionals, dedicated staff and a patient friendly organizational culture. Advances that have recently taken place, particularly in the field of medical science & technology, have changed the entire scenario. Dr. Anant Kumar has 35 years of experience in urology & Kidney Transplant. He is currently the Chairman of Uro-Oncology, Robotic & Kidney Transplantation, Max Hospital at Saket New Delhi & Max Hospital Vaishali. He is well-known as one of the best robotic & laparoscopic surgeon in India. He was also Director of the Department of Urology, Renal transplantation and Robotics at Fortis hospital & Apollo Hospital in Delhi & NCR. Prior to this, he was the Professor & Head, Urology & Kidney Transplantation at SGPGIMS, Lucknow. He was also consultant Urologist in Addenbrooke’s Hospital, Cambridge, UK. Dr. Vimal has several years of experience in Urology, Robotics and Kidney Transplant. He has experience of more than 700 laparoscopic donor nephrectomies, over 300 Kidney Transplants, 5000 different Endourological procedures, 350 reconstructive procedures and more than 250 radical Laparoscopic/Robotic Oncological procedures. He has been associated with Max Hospital Saket, Columbia Asia Hospital, Tata Memorial Hospital, Yashoda Hospital and Fortis Hospital in the past. Dr. Anjana Singh is the Head and Senior Consultant for the dept of Obs & Gynecology at Fortis Hospital, Noida. Post her MBBS and DNB she started her residency from Safadarjung Hospital, New Delhi. She was at Max Hospital, Vaishali as Senior Consultant before joining at Fortis Hospital, Noida. She has a keen interest in cases like infertility, high risk pregnancy, laparoscopic surgeries. A Medical Visa is given to patients seeking medical treatment in reputed, specialized hospitals/treatment centers in India. The hospital that you are applying for has to be approved by the Government of India to be able to issue a visa. Up to two people are allowed to accompany the applicant and they need to be the blood relatives of the patient. Also, their visas will be separate from the patient’s and are called Medical Attendant visas, although they have the same validity as the patient’s medical visa. Applicant (patient) must have recommendations or references for specialized treatment on the basis of Preliminary medical checkup and treatment from the Medical experts of origin/residence country. This can be obtained from the hospital that you got treated in your country. Get official documents of recommendation from the Doctors there. The treatment should be significant in nature, such as neurosurgery, heart surgery, organ transplant, joint replacement, gene therapy, and plastic surgery. All other ailments may not qualify for a medical visa. Up to two accompanying medical attendant visas will be issued for people to accompany the patient Attendants/family members of patient, who are coming to India for Medical treatment. They shall be granted Medical Attendant visa (MED X) in alignment with medical Visa of the patient. Attendants should be spouse/ children or those having blood relations with the patient. Not more than two attendants may be allowed. So, whoever has a valid passport from their country, and have a medical condition clinically reported and acknowledged by a reputed Medical institution can apply for a Medical visa in India, along with two blood relatives (documents have to provided to prove blood relations). Serious ailments like neuro-surgery; ophthalmic disorders; heart-related problems; renal disorders; organ transplantation; congenital disorders; gene-therapy; radio-therapy; plastic surgery; joint replacement, etc are eligible to apply for a Medical visa in India. Fill up the details, make sure all information is correct and take a print out copy of the application. Gather the required list of documents mentioned below. India has no parallels in healthcare when it comes to cost effective treatments in comparison with other countries. Significant cost differences exist among US, UK and South Asian countries. Add to it, the waiting time which is almost nil in case of India. After all, your health cannot be put at stake due to long waiting lists. The American Medical Association has made a cost comparison study of healthcare in different countries. According to the statistics released by AMA, a knee replacement surgery would cost $40,000 in US, $10,000 in Thailand and $13,000 in Singapore, while the same surgery would cost the person $8500 in India. That gives India a certain edge when it comes to reasonable medical treatments. In addition, Indian doctors are renowned all over the world for their prowess and skills. A heart valve replacement surgery would cost the patients $200,000 in the US and $90,000 in Britain while it would cost $12,500 in Singapore and $10,000 in Thailand. The same procedure in India would cost only $8,000. While a bone marrow transplant would cost $30,000 in India, in US it would cost anywhere between $250,000-$400,000 while in UK the cost would be of the order of $150,000. Doctors in Thailand would charge $3,500 for cosmetic surgery while those in US and UK would charge $20,000 and $10,000, respectively. But in India, it costs only $2000. No matter what procedure you undergo, you are sure to save 75% to 95% of healthcare costs. Besides, India is a great place to explore with rich heritage, architecture and culture. So you can always combine your treatment with a holiday. Although costs in European countries such as Germany and Belgium may be less than that in the United States, but Europe is still more expensive than India. In fact, the data of AMA shows that India is the least expensive when compared to European as well as other Asian countries. Apart from the cost benefit, you will have the same sophistication in healthcare in India as available in any western country. Tour operators like Indian Holiday provide medical tourism packages at competitive prices and offer you a hassle free recovery from your ailments and a great holiday too! So, if you are suffering and medical intervention is inevitable and urgent, and you are hard pressed to pay from your savings, India is the best option for medical assistance. Would you not go to a country where top-notch medical professionals provide care for a fraction of the cost?